Heritage conservation deals with actions or processes that are aimed at safeguarding the character-defining elements of a cultural resource so as to retain its heritage value and extend its physical life. Heritage conservation doesn't mean freezing a building in time, creating a museum or tying the hands of property owners so they can't do anything with their properties. Instead, it seeks to maintain and thereby increase the value of buildings by keeping their original built form and architectural elements, favouring their restoration over replacement or demolition and, when restoration is not possible, respectfully recreating scale, period and character. Heritage conservation and designation increases property values - both the restored building and surrounding properties. Heritage conservation encourages tourism and helps businesses attract customers. Communities can build their town or city's image around retained historical elements. Retaining the historic integrity of a neighbourhood or town attracts people mainly for that ambiance which in turn attracts business. A small town without a heritage main street attracts few people. Conservation keeps money within the community by requiring fewer materials from outside and more labour-intensive work by local trades. 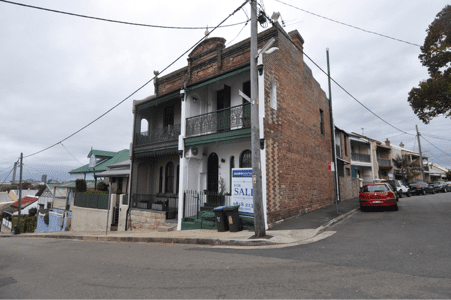 With the right programs in place, businesses and building owners can take advantage of government programs and incentives to maintain and restore heritage buildings although in NSW, there are few available incentives (sadly). Conservation reduces construction and demolition waste and uses less than half the energy of new construction. It is therefore, sustainable. Heritage conservation results in investment in our communities. The investment rewards us today and leaves an invaluable resource for future generations. 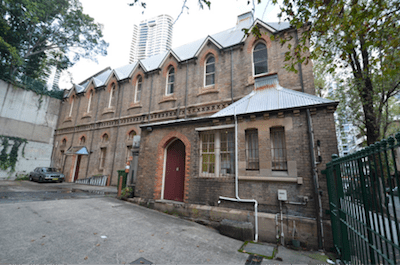 Heritage conservation improves urban environments and gives them their distinctive character. Conservation of cultural built heritage involves protection and restoration using "any methods that prove effective in keeping the subject property in as close to its original condition as possible for as long as possible." Conservation of cultural built heritage often involves collection care and management through tracking, examination, documentation, preventative conservation, and restoration. However, the scope has widened from the protection and care of architecture to conservation of cultural heritage including protection and care of a broad set of other cultural and historical values such as cultural landscapes and movable heritage. Conservation of cultural built heritage would more accurately be described as a type of ethical stewardship. Allowing every new installation to be reversible.